Due to its location in the Southern Hemisphere, March is the beginning of the fall season in New Zealand, which makes it a lovely month to plan a trip to this island nation. The weather is slightly cooler than the summer months, making it very pleasant for enjoying New Zealand's natural scenery. There are also plenty of festive events celebrating music, art, food, and culture taking place on both in the North and South Islands all month long. Whether you're planning a relaxing beachside vacation or want to explore New Zealand's many vineyards and lush natural scenery, you're sure to enjoy your trip to the country this March. March in New Zealand usually has some of the most consistent weather of any time of the year. In both the North and South Islands, the days can be warm and dry and the nights and early mornings can be pleasantly cool. March is also less humid than the summer months, especially in the North Island, but the country is prone to unexpected heavy rain showers, especially in Northland and Otago. Additionally, if you're planning on spending your vacation on one of the country's many beaches, the sea temperatures surrounding both the North and South Islands stay between 67 and 72 degrees Fahrenheit for most of the month, making for plenty of great opportunities to take a dip in the ocean. Since the weather in New Zealand isn't much cooler in March than during the summer months of December, January, and February, you won't have to worry too much about bringing extra layers for warmth; however, you may want to consider packing a light jacket or sweater for nighttime and early morning adventures. In addition to the usual summer/fall attire of shorts, shirts, and tank tops, you should be sure to bring comfortable hiking shoes if you plan on immersing yourself in nature during your visit. Also, don't forget to bring a bathing suit and sandals if you plan on spending the day at one of New Zealand's many beaches. It may also be a good idea to pack a lightweight and compact umbrella to carry with you during your travels in case of a sudden rain shower. 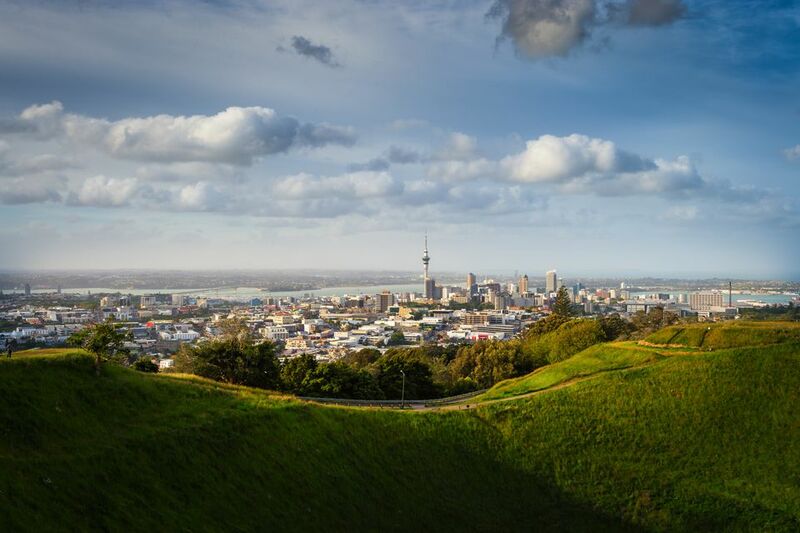 From St. Patrick's Day festivals across the country to a variety of food, beer, art, and cultural events, there are plenty of things to do in New Zealand this month—no matter where on the North or South Island you visit. St. Patrick's Day Festival: A two-week-long celebration held nationwide featuring parades, fundraising parties, musical performances, religious ceremonies, and plenty of traditional Irish and New Zealand foods and art, the St. Patrick's Day Festival is one of the country's biggest annual events. St. Patrick's Day falls on March 17, and events typically last from the first weekend of the month through the holiday itself. Auckland Arts Festival: Also known as Te Ahurei Toi o Tāmaki Makaurau, the festival celebrates the rich cultural heritage and modern culture of the city of Auckland through a series of storytelling, performance, and arts events. Pasifika Festival: This celebration of the diverse Pacific cultures of New Zealand takes place in Auckland on one of the last weekends of March, and features family-friendly music, dance performances, and traditional arts and crafts from the peoples of the Cook Islands, Fiji, Niue, Aotearoa, Hawaii, Kiribati, Samoa, Tahiti, Tuvalu, Tonga, and Tokelau. Auckland Racing Cup: A world-class horse racing event that takes place over the first two Saturdays of March at the Auckland Racing Club. New Zealand International Arts Festival: Held in Wellington every other year, this biennial event features the latest in New Zealand art, music, food, dance, and theater. South Island Lantern Festival: This annual event held in Christchurch marks the end of the 15-day Chinese New Year celebration by releasing thousands of paper lanterns into the night sky under the first full moon of the Lunar New Year. Waipara Valley Wine and Food Festival: The one-day celebration of the culinary and winemaking arts of the South Island, held in Glenmark Domain in North Canterbury, features wine and food tasting, talks from local makers, live musical performances, and plenty of kid-friendly activities, too. Prices for accommodations and tourist attractions can be lower than in the summer since March is considered the off-season for tourism; you'll also find fewer crowds at popular destinations across the country during this time. Although New Zealand native trees are all evergreen, there are many deciduous trees that produce a profusion of color that start to emerge this month. This, combined with the cooler days, gives a softness to the light that makes New Zealand's natural landscapes appear even more spectacular. The best places to see these autumnal colors are in the Hawkes Bay (North Island) and Central Otago (South Island). The warm weather is also great for exploring the country's many wineries and vineyards since the grapes will be plump and ripe this time of year. Consider stopping by Northland, Bay of Plenty, or Auckland on the North Island, or Nelson, Marlborough, and Central Otago on the South Island, if you want to enjoy the autumnal weather with a glass of local wine in hand. March also has great weather and temperatures for swimming, hiking, and other outdoor activities.